*NetSuite and Intacct Integrations are available for customers on the Professional Plan. Please get in touch with support@abacus.com to learn more. If you use another Accounting platform, we suggest using our .csv data export to make the month-end reconciliation easy. 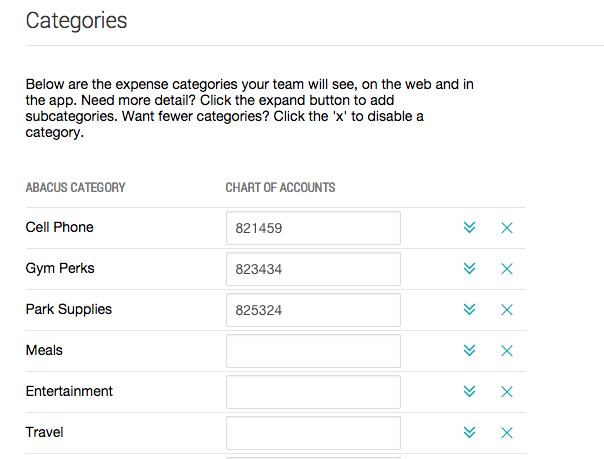 We know that one of the hardest parts is making sure your expenses are first properly categorized before importing them into your accounting platform. 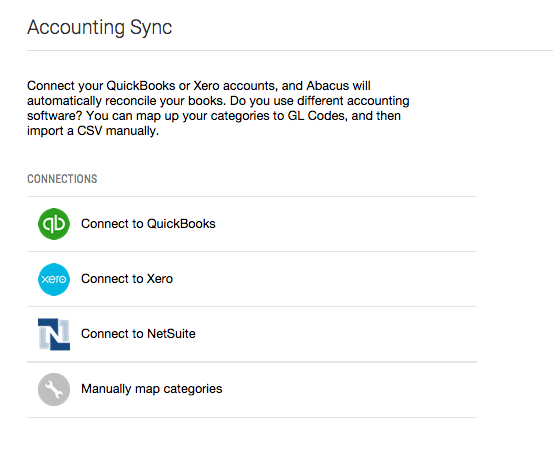 Go to your Categories Settings to do the one-time mapping and enter in your GL Codes. Hit 'Save,' and you're done! Now when you export your .csv file, you will have a column for the Abacus category and the GL code. Learn more about how to map these fields to an accounting field here.